The 2000 U.S. census counted 7,691 residents in the 6.37-square-mile (16.5 km2) Bel Air neighborhood; with 1,207 per square mile (466/km2) it has among the lowest population densities for the city and the county. In 2008, the city estimated that the population had increased to 8,253. The median yearly household income in 2008 was $207,938, the highest figure for any neighborhood or city in Los Angeles County. Renters occupied 14.5% of the housing stock, and house- or apartment-owners held 85.5%. The average household size of 2.4 people was considered typical for Los Angeles. The 4.1% of families headed by single parents was considered low for city and county neighborhoods. 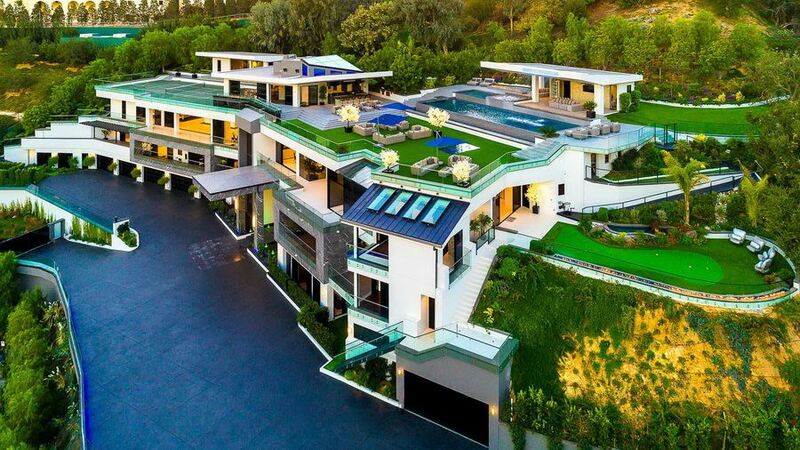 The percentages of married people in Bel Air were among the county's highest—66.0% for men and 65.7% for women. The neighborhood was considered "not especially diverse" ethnically within Los Angeles, with a relatively high percentage of white people. The breakdown was whites, 83.0%; Asians, 8.2%; Latinos, 4.6%; blacks, 0.9%; and others, 3.2%. Iran (26.1%) and South Africa (8.2%) were the most common places of birth for the 24.1% of the residents who were born abroad—which was an average percentage for Los Angeles as a whole. On November 6 1961, a fire ignited and devastated the community of Bel Air destroying 484 homes in the area. On December 6 2017, a fire started by a homeless encampment burned in the same area destroying 6 homes. Bel Air is situated about 12 miles (19 km) west of Downtown Los Angeles and includes some of the foothills of the Santa Monica Mountains. It lies across Sunset Boulevard from the northern edge of the main campus of the University of California, Los Angeles. At the heart of the community sits the Bel-Air Country Club and the Hotel Bel-Air. 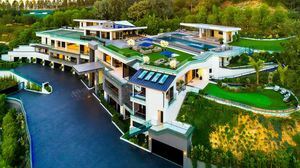 Along with Beverly Hills and the Los Angeles community of Brentwood, Bel Air it is part of a high-priced area on the Westside known as the "three Bs". This region experiences warm and dry summers, with no average monthly temperatures above 71.6 °F (22.0 °C). According to the Köppen Climate Classification system, Bel Air has a warm-summer Mediterranean climate, abbreviated "Csb" on climate maps.